President Trump has been right about a lot of things. It seems he hit the nail on the head when he called out Google, Facebook and Twitter for liberal bias. It is now two weeks before the midterms and I see what happened with the purge of others and me. Google, Facebook and Twitter employees have given a total of $2.4 million to House and Senate candidates. This is according to Federal Election Commission filings. Guess how much went to Republicans? Eight percent (8%) or $176,000 went to Republicans. In the previous midterms in 2014, Google, Facebook and Twitter workers gave a total of $838,000 to congressional candidates. Democrats received $679,000 of that and $259,000 went to Republicans. This is according to the nonpartisan Center for Responsive Politics. The campaign donation findings could provide Trump with more ammunition that the giant tech companies are leaning left. Obviously, the leaders of Google, Facebook and Twitter have denied any bias. The PACs of Facebook and Google are different story. Those PACs favored Republicans over Democrats over the years. In 2016 the PACs of these two firms gave a total of $1 million to Republicans and $878,000 to Democrats. The PACs did not contribute to presidential candidates. In 2016 the Twitter PAC only donated $8,000 to Democrats and $7,500 to Republicans. In 2018 things turned around. The Facebook and Google PACS have given nearly $607,000 to Democrats and $538,000 to Republicans. Employees’ individual donations were mostly to the left. Google employees have given $1.7 million. Only $117,000 went to Republicans. The same holds true at Facebook. 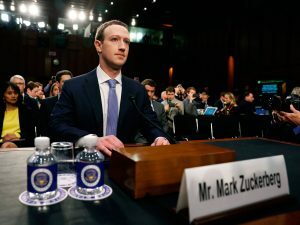 Facebook employees donated nearly $549,000 to Democrats running for Congress. Only $58,000 went to Republicans. Is Facebook Left leaning? How about out to destroy the Right? I was one of those purged; I know. Twitter employees have donated a total of $105,000 during the 2018 election cycle. None went to Republicans. In May, Jason Spero, Vice President of Google said that his political activism has grown since Trump was elected. Spero and other employees at Google and across Silicon Valley had their sights set on the 2018 midterms. They’ve been out to flip the House in favor of Democrats. Spero and his colleagues have donated more than $93,000 to three California Democrats. Mike Levin, who’s running for retiring GOP congressman Darrel Issa’s seat. Jessica Morse, who is trying to unseat GOP incumbent Tom McClintock. Joshua Harder, who is challenging GOP incumbent Jeff Denham. Google employees have also donated nearly $31,000 to Democratic Senate candidate Beto O’Rourke (Robert Francis O’Rourke) who is running against Texas incumbent Republican Sen. Ted Cruz. Ted Cruz did received one campaign contribution from a Google employee for $250. Two other Google workers have also donated a total of $1,350 to Trump in 2018. Facebook employees gave Beto O’Rourke (Francis Robert O’Rourke) more than $18,000. Facebook employees gave $17,500 to Josh Gottheimer, a freshman New Jersey Democrat who unseated Republican incumbent Scott Garrett in 2016. Jared Golden, running against Republican Rep. Bruce Poliquin in Maine. Jessica King, running against Republican Rep. Lloyd Smucker in Pennsylvania. J.D. Scholten, running against Republican Rep. Steve King in Iowa. Google CEO Sundar Pichai gave the Democratic Senatorial Campaign Committee and National Republican Senatorial Committee each $33,900, the maximum contribution. Mark Zuckerberg’s only donations were two to the Facebook PAC for a total of $10,000. He’s laying low since his encounter with a congressional hearing. So the rich guys gave money and the workers basically did the shadow banning and purging. Thanks a lot. They can deny being biased all they want. I know differently. They took down my Pages and groups that were getting too big for the SNOWFLAKES to handle. Then they took me down. I write for this site and that makes me very dangerous to them.